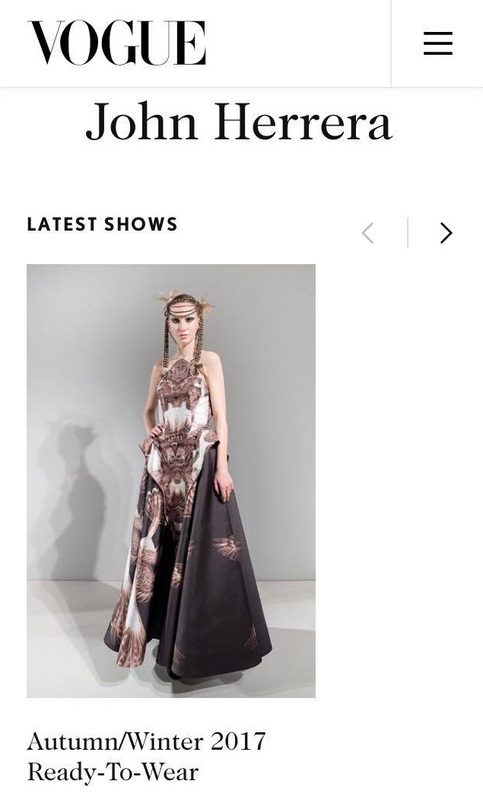 'Agila' lands a spot on their Autumn/Winter coverage! In case you haven't heard yet, one of our local talents is currently on a roll in the United Kingdom. 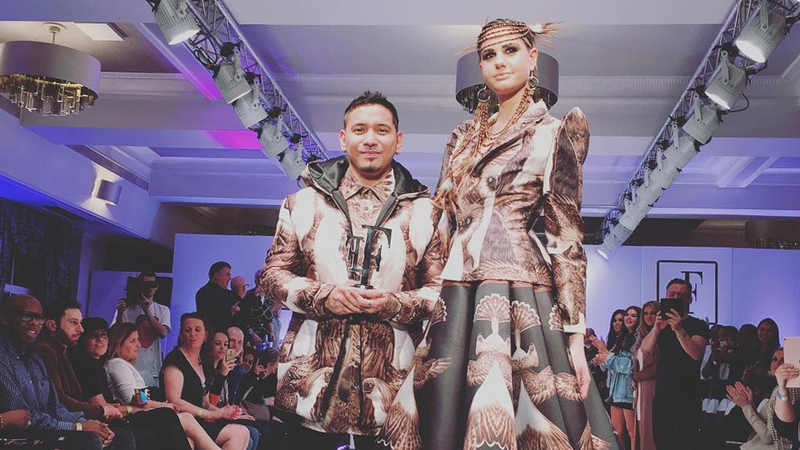 Filipino designer John Herrera not only won Britain's Top Designer (BTD) for 2017, his collection "Agila" also caught the attention of British Vogue website! In an exclusive interview with Preview, John spills all the exciting details about how he landed on the digital home of British Vogue. Read our Q&A with him below! Hi John! How did Vogue find out about your collection? 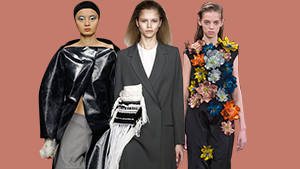 "So many PRs just submit photos to Vogue [for consideration]. My PR, Courtney Blackman of ForwardPR, submitted some photos from my photographer friend Ghene Snowdon. We thought there was gonna be a bit of a wait [until the photos were published], but voila." That's so cool! What was your reaction like when you first found out? "I can't describe it actually. This trip has already exceeded all my expectations. The first thing I did was pray and thank God for leading me to the right people. I'm actually nursing a cold now [because of the weather]. But [I] still managed to jump up and down [when I found out]!" Congratulations! You deserve it. You've been working so hard. But with all these amazing things happening, what's next for John Herrera? "After the showroom in Paris produced by Fashion Exchange International, I will go home to Manila to renew my Visa and then head back to London for meetings. I may need to stay a bit longer for the next trip." What will you be doing in London then? "There's an artistic grant that expressed interest in my work. I'm gonna need to stay here and apply/audition. It's not final yet, I just heard from them two days ago." As of writing, only one photo is up on Vogue UK's website, but the rest are expected to be uploaded in a few days. 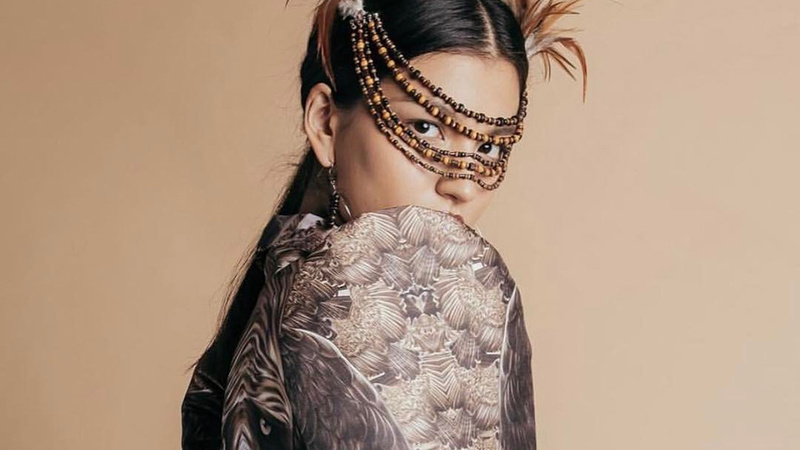 "Agila" is John's collaboration with Epson Philippines and Southeast Asia, and the unique prints were done through digital textile printing. Find out more about his collection here.